The good news is that according to Albert Einstein, you always hire a genius. The bad news is they may not be a genius in the job for which you hire them. In this context, a skill is anything a humanoid has to learn in order to produce a result. Any person’s job is made up of several tasks to perform. It usually takes several skills to perform a task. So, hiring the right talent is a matter of matching all of the skills required by the job with the skills of a job candidate. Once you list all of the skills required by the job, you will divide that list into two groups. The first group includes all of the skills that a new hire will learn in the training for the job. When you have compiled that list, you can set it aside and ignore it. Why ignore it? You don’t need to hire someone with those skills, because you provide training for them. Your focus is on the list of remaining skills – the prerequisite skills. These are the skills for which you advertise on the job posting and the skills you want demonstrated in the job interview. They are the skills that the person has to bring to the job because you won’t provide the training for them and/or they are required in order to learn the skills in your training program. An example of a prerequisite skill is already being able to navigate in, and perform basic functions in a specific software so the person can learn the advanced applications in the training program. The biggest obstacle to describing these prerequisite skills in a way that brings success to your recruiting effort is fuzzy descriptions. You can view examples of fuzzy descriptions in any existing job description! A “fuzzy” is any word or phrase that is open to interpretation. “Team player”, “strong communicator”, “fit into the culture” are all examples of valid job requirements described with fuzzy, or subjective language. Soft skills are the best examples of fuzziness. You will hear, “We are concerned about the person fitting into our culture,” or “We need to make sure the candidate is a team-player,” or “They need to have strong communication skills.” This is definitely true! These soft skills can be treated like any other skill to be demonstrated if you first translate them into observable performances. Keep them talking. You simply make a list of the performances they describe. Take the necessary time to complete that conversation. It may be difficult and take some time, but it’s a worthwhile investment. The result will be a list of observable performances that define that particular fuzzy or soft skill. Now your soft skills are no longer soft and can be demonstrated objectively like any other skill. Instead of talking about those soft skills, you can now have the job candidates demonstrate the observable performances that define the skill. “Interview” has come to mean asking questions. So, for this article, let’s just change the description to “demoview” and forbid the asking of questions. Your preparation for the demoview is to set the stage for the demoviewee(s) to perform these prerequisite skills to the standard you establish. For example, if the prerequisite skill is to design a webpage using a specific software, give them the information or content that will be available when they are doing it on the job, give them access to that software, and let them design the page for you. In addition to setting-up the demonstrations, you need to identify the standards to which the candidates must perform. For example, if the requirement is to read English, you still need an objective standard. You might have a set of instructions in English from the actual job so you can have the candidates demonstrate their ability to read and follow the instructions within a certain amount of time. Rex Conner is the author of What if Common Sense Was Common Practice in Business? The lead partner and owner of Mager Consortium, he applies the uniquely effective processes of Dr. Robert Mager to the entire spectrum of human performance in the workplace. Conner has witnessed the common violations of common sense while working as a trusted partner inside of more than 50 companies in dozens of industries over the last three decades. For more information, visit www.magerconsortium.com, and connect with Conner on LinkedIn. Author: Rex ConnerRex Conner is the author of What if Common Sense Was Common Practice in Business? 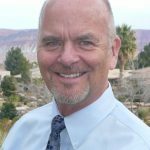 As the lead partner and owner of Mager Consortium, he applies the uniquely effective processes of Dr. Robert Mager to the entire spectrum of human performance in the workplace. Conner has witnessed the common violations of common sense while working as a trusted partner inside of more than 50 companies in dozens of industries over the last three decades.